The Queen City is growing by leaps and bounds, and with all the apartments in Charlotte springing up, it is reasonable to assume that there is an influx of newbies to the area that may not know of all the amazing things Charlotte has to offer. Being new to town shouldn't mean you have to miss out on all of the fun. When there are articles like this one to let you in on all the Queen City secrets, you will be in the know. 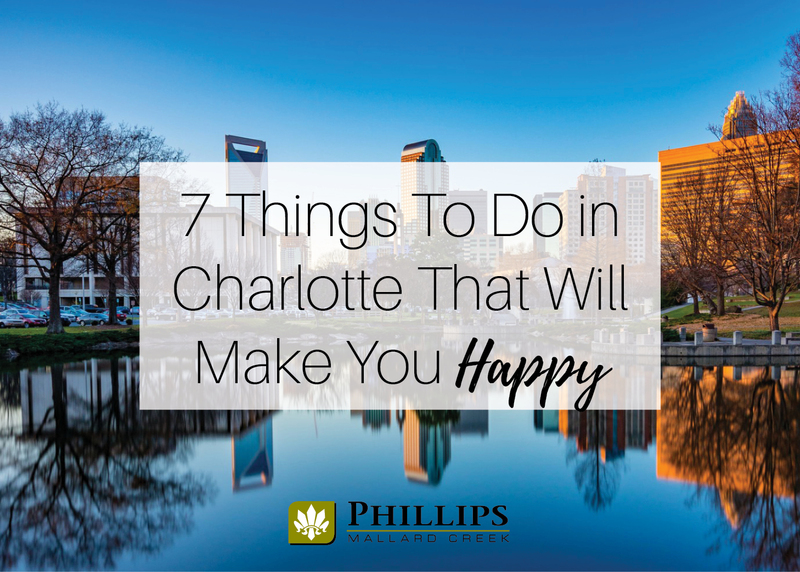 Without further ado, here are seven things to do in Charlotte that are sure to make you happy! Eat lunch at Price's Chicken Coop on Camden Road in the South End. Price's has been a Charlotte staple since the 1960's, and it has barely changed at all in the nearly 60 years since it opened. There is no seating, just a counter for take-out, and it only accepts cash, but it also happens to serve up the best fried chicken you can eat without visiting your old Southern grandma's house. You can get your chicken for lunch or dinner from 10:00 am – 6:00 pm Tuesday through Saturday, but be prepared to wait for it, as the line can sometimes snake out the door at this classic Charlotte restaurant. 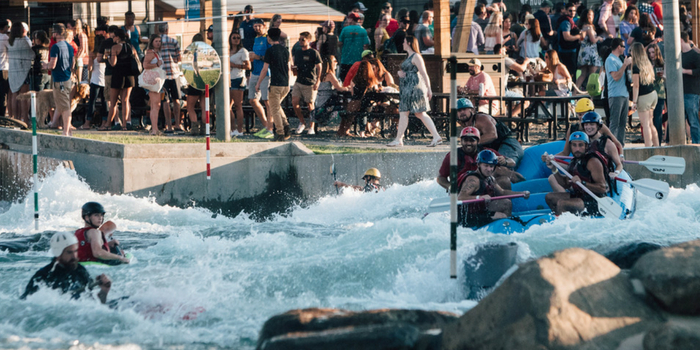 Spend a Saturday at the U.S. National Whitewater Center for an adrenaline packed day of outdoor activities. The 700-acre USNWC is located on the South side of the city off of 85. It is a sprawling outdoor complex that includes a man-made river for whitewater rafting, access to the Catawba River for flatwater kayaking and paddleboarding, dozens of trails for hiking or mountain biking, numerous zip lines, and several ropes courses up in the trees. You will also find an outstanding restaurant, several bars serving up locally crafted draft beers, and a snack bar where you can grab a quick bite to-go. The whitewater center is an awesome way to spend a warm day in the summer or a cool evening in the fall… relaxing with a beer at the Saturday night RiverJam festivals. The EpiCentre in Uptown is the food, entertainment, and nightlife hub of the Queen City. The three floors of the EpiCentre include dozens of restaurants serving up everything from fresh baked cookies to a full steak dinner. It also includes numerous bars and clubs where you can listen to live music, dance until the wee hours, or even ride a mechanical bull. Plus, the entertainment options also include a movie theater and a bowling alley. Check the calendar for ideas because they often have bar crawls, nationally touring artists playing, or other fun activities like trivia nights. Basically, there is something going on somewhere every night of the week! Also, the light rail has a stop right at the entrance, so you can even leave your car at home and save on parking. Have a full day shopping, eating, and getting all your steps in at Ikea. 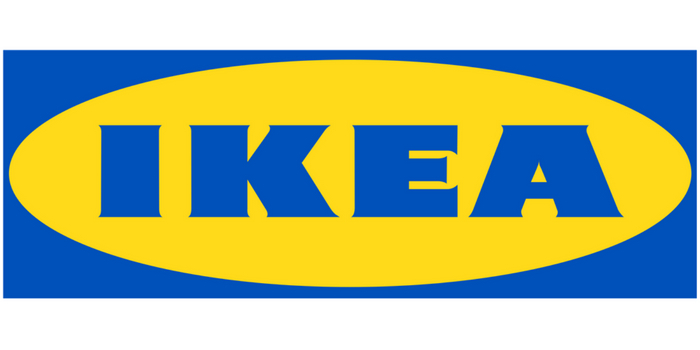 Conveniently located for those living in apartments in Charlotte's northern half of the city, Ikea is a shopping experience like no other. You can explore the fully built rooms to see exactly how the furniture might look in your space, browse the endless aisles of reasonably priced home goods, then grab lunch in the cafe which serves up a ton of menu items including famous Swedish meatballs. They also offer free childcare in a super fun center full of activities kids love, like ball pits and playhouses. Spend an hour and a half laughing until your sides hurt while exploring the city on the Funny Bus Comedy City Tour. The bus departs from the First Ward Park on 7th Street, just look for the Google fiber building to know you are in the right spot. The comedic tour lasts about 90 minutes. The guide tells the tales of Charlotte with a comedic spin which will be all the funnier because you can bring your own beer and wine along for the ride. (Don't worry! They stop for a bathroom break towards the middle of the tour.) They offer a PG-13 and an R-rated version so that you can get a tour that is geared to your comedic preferences. 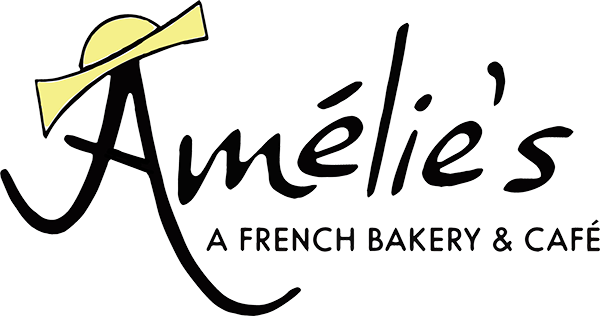 When you are ready for your sugar fix, head to one of the several locations of Amelie's French Bakery. Like Price's Chicken Coop, this eclectic bakery and cafe is also a quintessential Charlotte experience! There is the flagship location located in NoDa which is open 24 hours per day, 7 days a week, 365 days per year, but there are also equally fabulous locations located in Uptown, on Carmel Road, and on Park Road. They all offer the same style of eclectic decor, amazing pastries, and deliciously sippable beverages. You can't call yourself a true Charlottean until you have sampled a macaroon from Amelie's. Olde Mecklenburg Brewery is Charlotte's very own German Breuhaus. Located on Yancey Road in the more industrial area of South End, Olde Meck serves up locally brewed German-style beer and offers a sizable menu available in their taphouse. The large lot has plenty of outdoor seating, is dog-friendly, and is a fantastic place to spend a relaxing afternoon. On Tuesday nights, they even offer a free yoga class called Yoga on Tap. As you can see, when you chose to rent an apartment in Charlotte, you made an excellent decision! The fair Queen City is full of amazing restaurants, countless entertainment venues, and it even has its own Ikea. What more could a person ask for? If you happen to be looking for at apartments in Charlotte, NC then please take a moment to check out Phillips Mallard Creek Apartments. We offer one, two, and three bedroom apartments on the north side of Charlotte near UNC-Charlotte and University City.